All monetary donations go toward the care of our rescued animals! We accept credit cards, checks, and cash. **When selecting general/open fund, please indicate in the comments what the donation/payment is for. Cash Donation: Can be made in person at one of our events. Kroger Rewards If you shop at Krogers and have a Kroger's Plus card, Kroger allows you to select HART to earn donations every time you shop! Amazon allows shoppers to select a charity to be the benefactor of 0.05% of their eligible purchases. All the shopper has to do is shop through www.smile.amazon.com (instead of amazon.com). AmazonSmile is the same Amazon you know - same products, same services and same prices. And the donation will automatically go to the organization the shopper selects. Homeless Animal Rescue Team of Cincinnati (HART) is an organization that's available to select!! Please help HART by using this website for ALL your Amazon purchases! Once you set it up with HART as your charity, Amazon will thereafter remind you to switch over to Amazon Smiles if you first go to Amazon.com. It's a piece of cake to set up, and an easy way to help HART raise funds! GoodSearch.com- Go to goodsearch.com for all your internet searches. 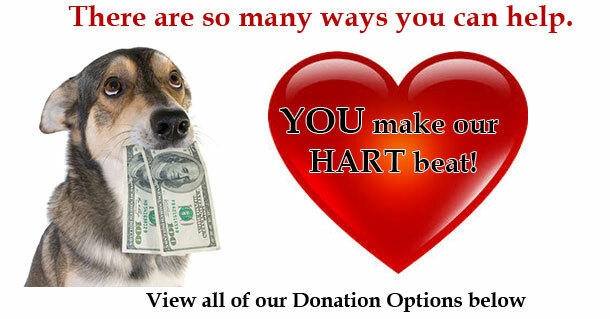 To select HART as your charity, search for Homeless Animal Rescue team of Cincinnati - HART. (You only have to do this once - it remembers your charity). Goodsearch automatically sends us a check based on how many searches are done. GoodSearch - www.goodsearch.com - powered by Yahoo! and last but not least....CASH! 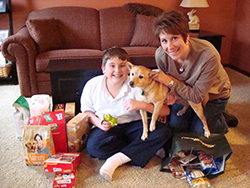 View our Donation Stories for creative ways that our Supporters have helped raise money for Hart.